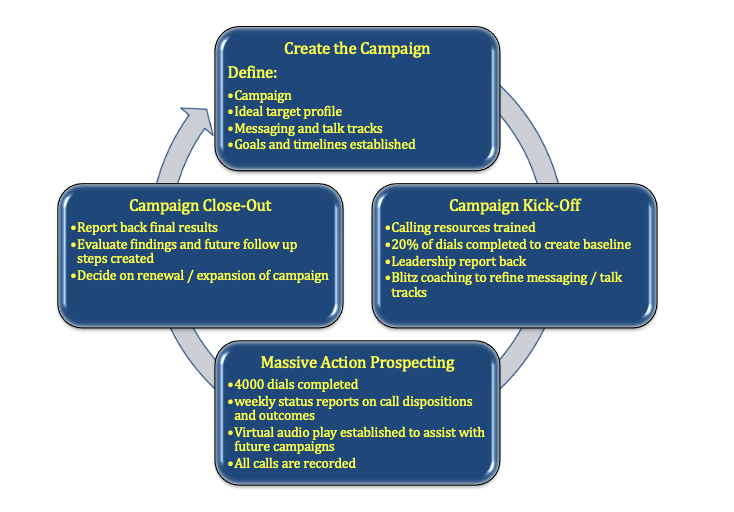 Dramatically impact outbound call campaign execution by leveraging best of bread prospecting methodologies, technology, training and coaching. Simply put, 5000 dials will be made over a ~60 day call progression. Dials will result in 100 to 200 unique conversations with prospects within your ideal client profile. SaleFish will work side by side with the client to “sandlerize” the messaging and create the talk tracks required to optimize the outbound dials. Visit Sandler Training | SaleFish Blog for insights and tips on current sales, sales management, and leadership topics. Follow us on social media for more tips and tricks that will keep your "sales back pocket" full! ©1999-2017 Sandler Systems, Inc. All rights reserved. Sandler Training (with design) is a registered service mark of Sandler Systems, Inc.